According to a recent announcement by Singapore’s finance minister, Mr. Tharman Shanmugaratnam, it will be mandatory for existing Qualifying Full Banks (QFB) which are important to the domestic market in Singapore to incorporate their retail operations. The move is said to better protect depositors and in turn bolster Singapore’s financial stability at a time of growing financial volatility. Rikvin, which has helped many financial services firms with Singapore company incorporation, is optimistic that a diverse presence of international financial institutions and global connectivity will main key strengths of Singapore’s financial center. “A majority of foreign banks here operate as Singapore subsidiary companies or branches, taking advantage of the cost efficiencies here. Singapore incorporation will send a signal to depositors that their banks are committed to them and will be around to better protect and provide peace of mind to them,” said Mr. Satish Bakhda, Rikvin’s Head of Operations. the bank serves a comprehensive spectrum of the local community in Singapore. QFB privileges granted to international banks in Singapore have been one of the key features of the country’s banking liberalization. There are 8 QFBs today, representing a twofold increase since 1999. The places of business for QFBs have also increased from 10 in 1999 to 25 today. For a very small number of significantly rooted QFBs, MAS will consider granting an additional 25 places of business, of which up to 10 may be Singapore branches. This will be a part of an overall package negotiated with the home countries of these QFBs which are free trade agreement partners with Singapore. “As communicated by Mr. Tharman,being significantly rooted entails both additional privileges as well as responsibilities to contribute to the stability of the Singapore financial system. MAS will consider awarding new QFBs only under FTAs where there are substantial benefits to Singapore. New QFBs that are granted under future FTA offers will have to be locally incorporated before they may establish up to 25 places of business,” informed Mr. Satish Bakhda, Rikvin’s Head of Operations. “Meanwhile, local incorporation can also bring benefits to a bank with significant retail presence. Liquidity rules under Basel III will require long-term stable sources of funding to comprise a larger share of a bank’s total funding. 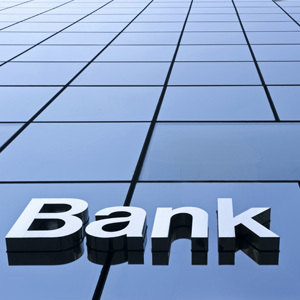 Competition for deposits is expected to intensify, and banks that can attract stable funding will gain an advantage. Local incorporation can therefore demonstrate a bank’s long-term commitment to depositors and other stakeholders in a world of heightened volatility and uncertainty,” concluded Mr. Bakhda.